For an easy upgrade, that is necessary, and will also make your car look cool, we have plenty of options to choose from. Customizing your car doesn’t have to be a complex ordeal, it can be very simple to do, and it’s easy to add a bit of personality to your vehicle. 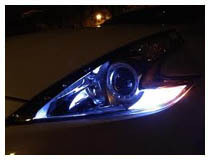 Any of our LED parking lights will work great for adding a touch of personality, with some added safety features that your car may not have already. A key part of driving your vehicle is ensuring that it gets noticed on the road. 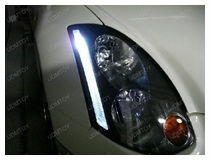 We offer a variety of LED parking light bulbs to ensure that your car can be easily seen. 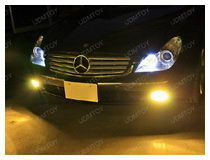 Our bulbs fit a variety of styles, including BMW, Mercedes, Infiniti, Lexus, Nissan, and more. We have a variety of bulb sizes to choose from, ensuring that you get the right fit for your vehicle and its upgrade. In addition, you can choose a variety of colors, including the standard white, blue, red, purple, and more. This way, whether you are matching previous customizations you’ve completed, or you are just getting started, you can make your vehicle exactly what you want it to be. Our LED parking lights burn brighter, last longer, and are more energy efficient than the standard options that vehicles come with. Whether you are upgrading just to get a brighter look, or you want to add some customization to your vehicle, we have the products for you. 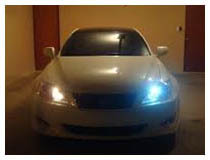 Here at iJDMTOY, we know how important it is to have the coolest car on the road, and with our LED parking light bulbs, we make it easy to do so. We offer only the highest quality products for your vehicle. If you have any questions about our products or your order, please feel free to contact our customer service representatives. They would be happy to assist you.